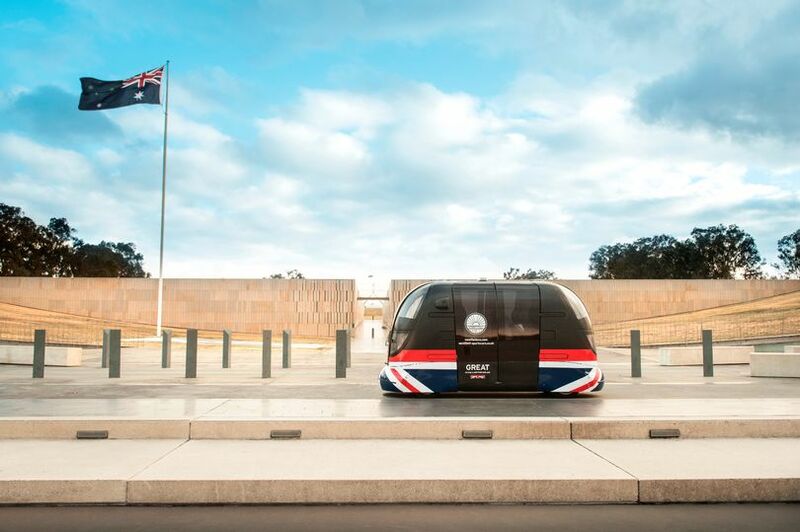 A UK airport is bringing driverless car technology to the public domain by ferrying passengers around in futuristic pods which will allow ‘in-built check-in’ for a stress free arrival. Manchester Airport will see the Pods on Demand (PODs) operating on site, but also along roads, including the new Airport Relief Road. The ambitious trial will see three PODs, autonomous vehicles with no steering wheel, ferry passengers across Manchester Airport. Also there will be three converted sports cars which will travel in convoy on the airport relief road from Stockport railway station. The £5m project has been funded by a Government innovation grant in partnership with Transport for Greater Manchester, Westfield Technology Group and Manchester Airport. The trial will run in December and January. The PODs are a six-seater vehicle which will have no steering wheels or pedals and will include a steward who can stop or slow the vehicle, but will not have overall control of the vehicle. Early trials of the PODs will see disability groups invited to try them out before the general public will be allowed to use them. Julian Turner, CEO of Westfield Technology Group: "We’re really excited to be trialling in Greater Manchester. "The city region has always welcomed innovation and new developments in technology and engineering, and this project demonstrates their local commitment to maintaining this outlook. "Project Synergy will do a number of things - it will offer travellers with reduced mobility a new option to try at Manchester Airport, to make their journeys easier and, it will help explore the potential positive benefits associated with platooning, including reducing congestion and improving energy efficiency."